The Temple Run game has become very popular and competitive with other popular games, such as Angry Birds, Fruit Ninja and Draw Something. 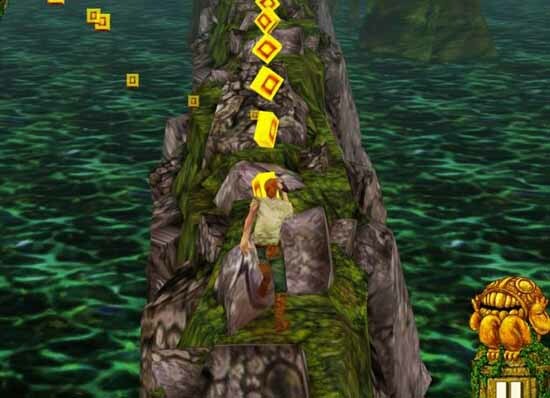 Temple Run got more than 40 million active users to use Apple iPhone, iPad, and Android on every day! 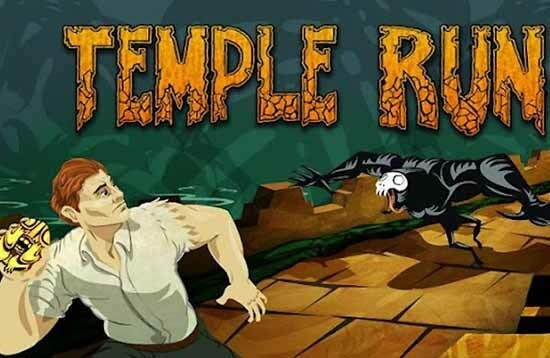 "You've stolen the cursed idol from the temple, and now you have to run for your life to escape the Evil Demon Monkeys you control the runners through several different obstacles in a temple, and while he was being chased by a swarm of angry monkeys." If you love the simple game, you don't need to learn more, and just control your character to run, jump, collect coins and power-ups while escaping from demon monkeys. Remember, you must avoid from falling into cliff or bumping into trees. I addicted to this game! I think some young kids, teeangers and adults also can play too because it is very easy! 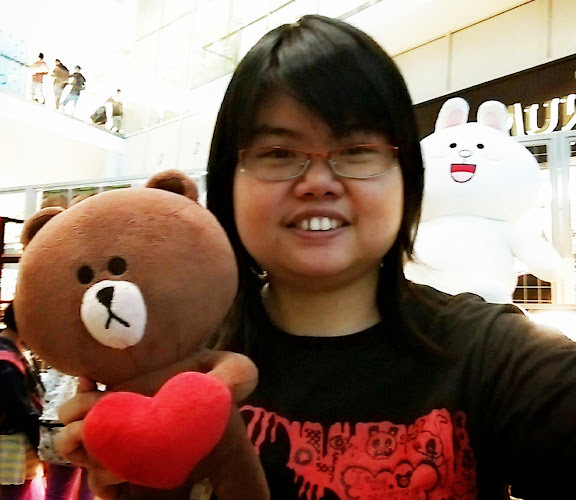 You and your friends can complete each other to get the highest scores! 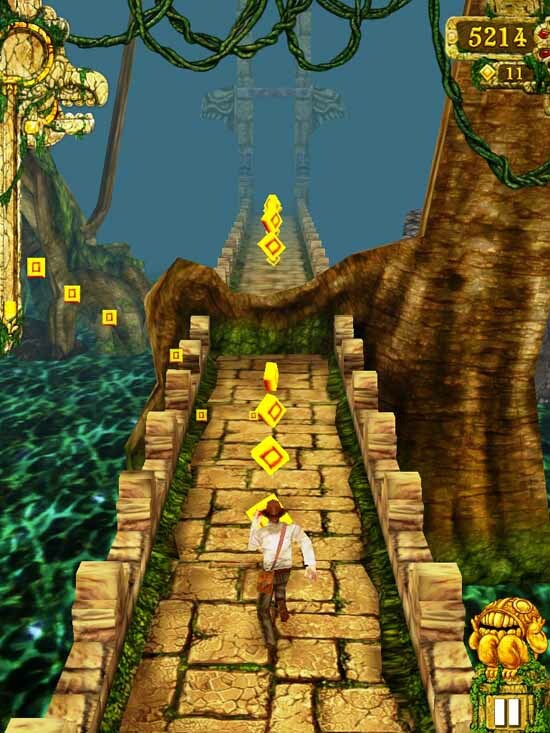 With Android smartphone, you can download FREE Temple Run from Google Play Store. 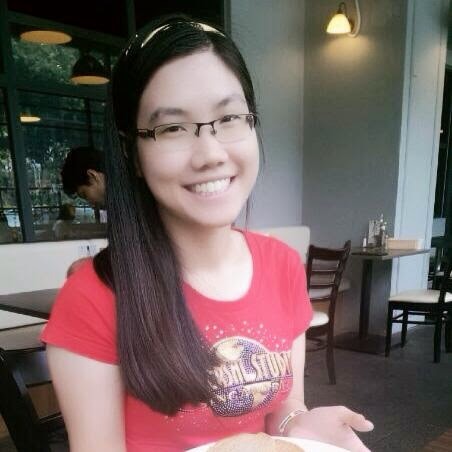 And for Apple fans, please download from Apple iTunes Store.